The Addams Family in Concert - Film Concerts Live! Film Concerts Live! Film Concerts Live! proudly presents the delightfully twisted comedy fantasy The Addams Family, with composer Marc Shaiman’s charming and imaginative orchestral score performed live to picture! 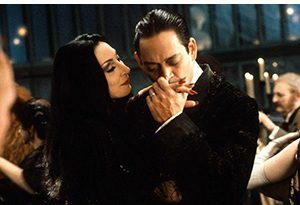 The all-star cast features Golden Globe nominee Angelica Huston as the alluring Morticia Addams, Raúl Juliá as the suave and devilish Gomez Addams, Christina Ricci in her breakthrough role as daughter Wednesday, and the inimitable Christopher Lloyd as Uncle Fester. 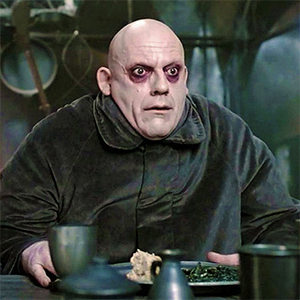 It’s 25 years since wealthy Gomez Addams’ older brother Fester disappeared. When the family’s lawyer (Dan Hedaya) discovers that the son of a local loan shark bears a striking resemblance to Fester, he hatches a plan to bring Gomez’ long-lost brother back to life in order to take control of the family’s vast fortune. But the Addams clan soon proves more than the unscrupulous lawyer bargained for. As the imposter Fester grows closer to the family, the line between impersonation and reality blurs, and he begins to recall memories that he never knew existed. 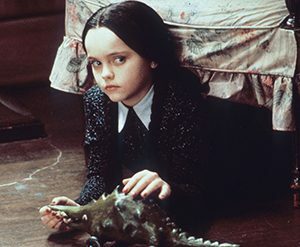 Could he truly be an Addams after all…? Based on the humorously macabre work of cartoonist Charles Addams, and the beloved 1960’s television series, The Addams Family in Concert is kooky, spooky, ghoulish fun for the entire family! “The Addams Family” licensed by Paramount Pictures and Metro-Goldwyn Mayer Studios. This program licensed by Paramount Pictures and Metro-Goldwyn Mayer Studios. Motion Picture, Artwork, Photos © 1991 Paramount Pictures. All Rights Reserved.